A magisterial, essential history of the struggle between whites and Native Americans over the fate of the West. With the end of the Civil War, the nation recommenced its expansion onto traditional Indian tribal lands, setting off a wide-ranging conflict that would last more than three decades. 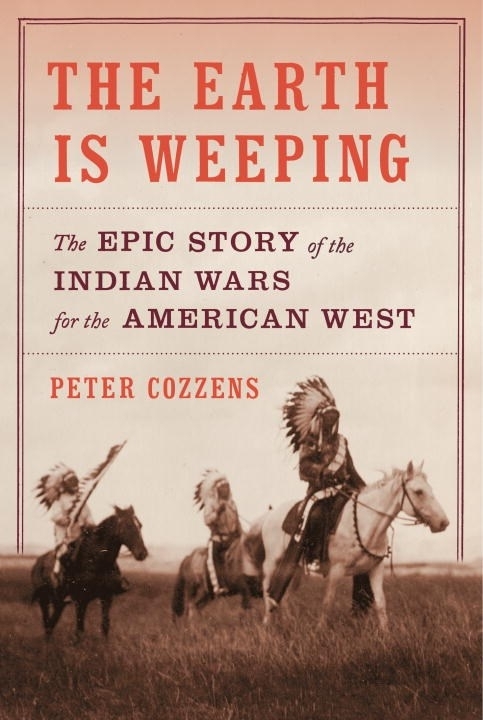 In an exploration of the wars and negotiations that destroyed tribal ways of life even as they made possible the emergence of the modern United States, Peter Cozzens gives us both sides in comprehensive and singularly intimate detail. He illuminates the encroachment experienced by the tribes and the tribal conflicts over whether to fight or make peace, and explores the squalid lives of soldiers posted to the frontier and the ethical quandaries faced by generals who often sympathized with their native enemies. As the action moves from Kansas and Nebraska to the Southwestern desert to the Dakotas and the Pacific Northwest, we encounter a pageant of fascinating characters including Custer, Sherman, Grant, and a host of other military and political figures, as well as great native leaders such as Crazy Horse, Sitting Bull, Geronimo, and Red Cloud. For the first time The Earth Is Weeping brings them all together in the fullest account to date of how the West was won--and lost. Love The Earth Is Weeping? Subscribe to Read More to find out about similar books.